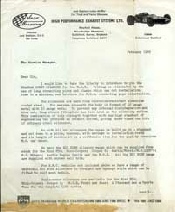 The letter introducing the new "Brabham / Lukey" range of performance exhausts. Read a PDF version of the full catalogue from 1968. 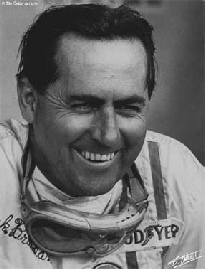 Unlike Paddy Hopkirk, Sir Jack Brabham never really "cashed in" on his success as a racing driver. 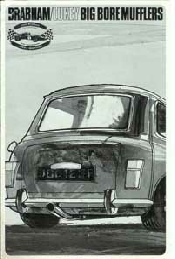 It seems that his main venture was into the world of performance exhaust systems. 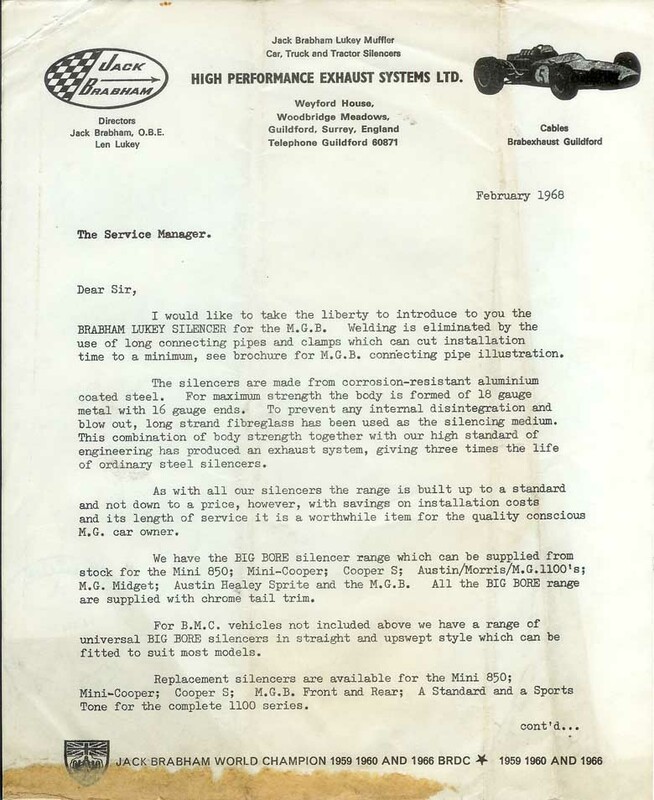 By the later 1960's "Brabham Highperformance Exhaust Systems" seemed to be able to offer a performance exhaust for practically every car on the road. Not particularly Mini orientated, but interesting none the less.